Are you reluctant to smile naturally? Do you have pain or discomfort trying to chew your food? Are your loose dentures constantly rubbing sore spots and causing you to need awkward adhesives? Dental implants may be exactly what you need to solve these problems! In today’s society we are consistently exposed to perfect white teeth in print, TV, and movies. Our dental team can help you achieve that perfect white smile as well! 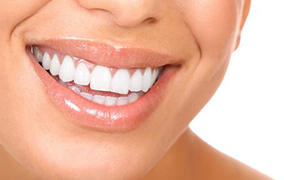 We offer at Mayatte Family Dentistry services such as Veneers, Whitening, Bonding, Inlays. 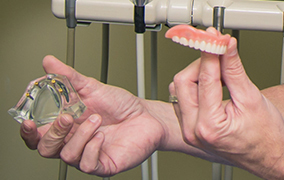 Mayatte Family Dentistry offers several restorative services within their practice according to your particular needs and tastes such as dentures, bridges, and crowns. Let our highly qualified team help restore your smile and your confidence today! Welcome to Mayatte Family Dentistry! We proudly serve the families of Brandon, Jackson, Pearl, and the surrounding Mississippi areas. 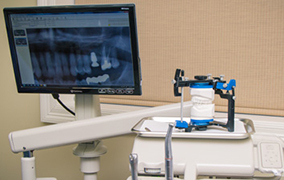 It is our promise to give our patients the best dental care possible in a relaxed and comfortable atmosphere. The first thing people notice is a smile. Let Mayatte Family Dentistry assist your entire family in maintaining healthy and beautiful smiles. Please continue to browse our website to get to know us. We are honored that you have chosen Mayatte Family Dentistry for your family's dental care needs. We look forward to meeting you! If you would like to make an appointment, please contact our office by phone or email. Because we strive to take care of our patients' dental needs in a timely manner, emergency appointments are available for when urgent care is required. We will be more than happy to submit all insurance forms for you and help you recover the most from your benefits. We will do everything we can to help you afford the treatment you need and want. For patients who require major work, a complete payment plan is designed with an appropriate payment schedule. Forms of payment accepted by the office are check, cash, Visa or Mastercard.